With nearly 380 000 employees and serving clients in more than 175 countries, IBM is the world’s largest technology services company. Energy and climate:Between 1990 and 2014, IBM’s conservation efforts avoided 6.8 million MWh of energy consumption and an associated 4.2 million metric tonnes of CO2 emissions. 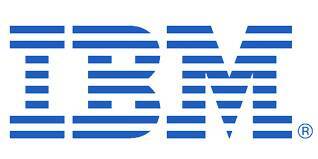 During 2014, IBM achieved energy conservation savings equal to 6.7 % of its total energy use. Their purchases of renewable electricity (not counting what comes within the standard mix of grid power) made up 14.2 % of consumption on a global basis. Product stewardship:Between 1995 and 2014, IBM collected and processed more than 2 billion pounds of end-of-life IT products worldwide. Nearly 97 % of the quantity processed during 2014 was reused, resold or recycled. Further information is available on the ISO website.